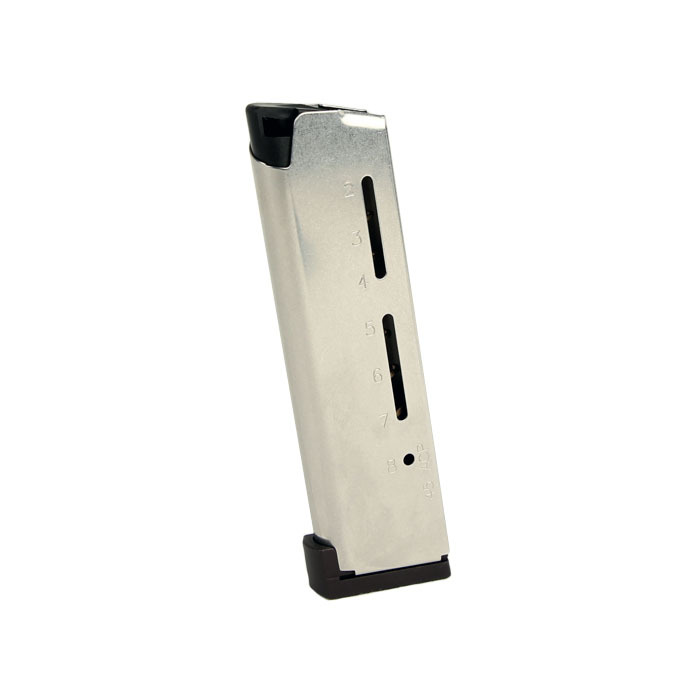 Wilson Combat ETM HD/+P .45ACP magazines feature the exclusive stainless flatwire MAX magazine spring that substantially increases the life of the spring as compared to a normal coiled spring. A true game-changer to the 1911 magazine, the heat-treated MAX flatwire construction never gets stressed or over-compressed like a conventional spring and is guaranteed to never require replacement even after high round counts or daily, extreme duty use. Aluminum base pad.